“People make a lot of fuss about my kids having such supposedly ‘strange names’. 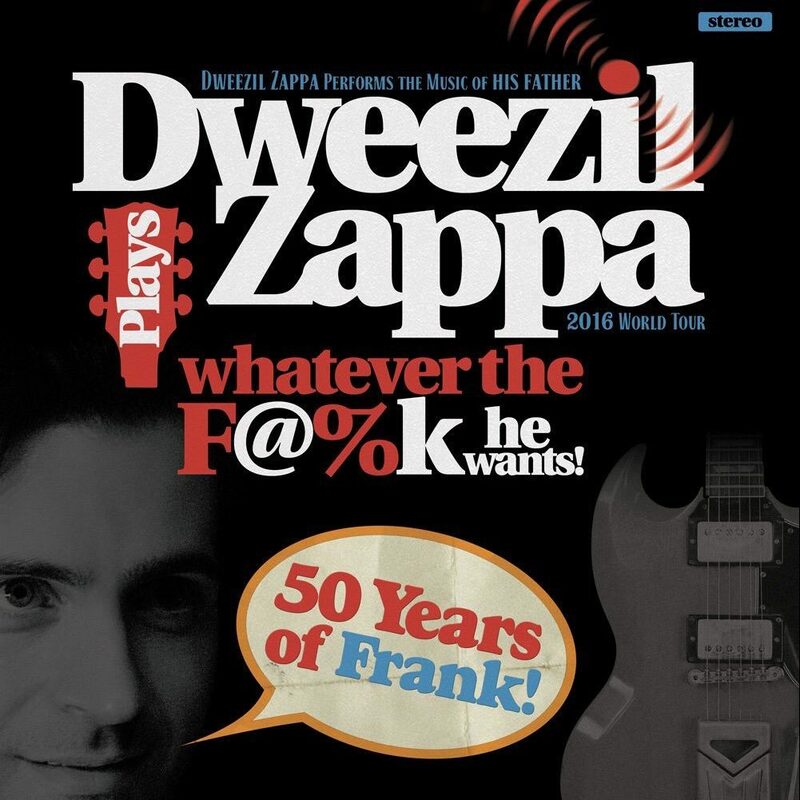 Despite all the fuss about legal battles and Zappa vs. Zappa, Dweezil continues to embark upon tours focusing on the work of his father, Frank. And regardless of what that might mean for him, for the rest of us, it means more chances to hear Frank Zappa’s music live and in concert. I, for one, am not upset about that. Dweezil is heading out in a few short days to begin his “50 Years Of Frank” tour at the Bardavon 1869 Opera House in Poughkeepsie, NY on July 28, with a set of dates which will take him down the East Coast of the United States before hitting a few spots out West. At certain select locations, fans will even have the opportunity to spring for a Guitar Masterclass should they desire the chance and have a little extra cash to spare. Tourdates are below. Visit Dweezil’s official page for links to purchase tickets!